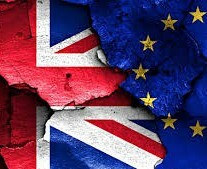 The outcome of the Brexit Referendum, held on 23 June, has generated increased uncertainty, financial market volatility and abrupt exchange rate movements, both in the United Kingdom and the Eurozone. The first assessment of the economic outlook for the euro area and the EU after the UK referendum was published by the European Commission’s Directorate General for Economic and Financial Affairs today. The study is not an economic forecast, as the Commission is expected to revise its next economic forecast in November 2016. Things do not look good for the UK economy either. In its forecasts, the think tank EY ITEM Club has recently written that Britain should brace itself for a “severe loss of momentum”, due to the decision to leave the European Union. Two scenarios – a ‘mild’ one and a ‘severe’ one – were analysed by the Commission to illustrate the potential effects of Brexit. Assumptions on the shape of any future agreement between the UK and the EU are not taken into account in analysed scenarios. As shown by the latest available data, the expected GDP growth in the euro area were up to 1.7% (EU28 1.8%) in both 2016 and 2017 before the UK referendum. However, according to both scenarios, growth in the euro area will supposedly moderate to 1.5%-1.6% in 2016 and to 1.3%-1.5% in 2017 in the aftermath of the Brexit referendum. Growth in the other 27 Member States would slow from an expected 1.9% in 2016 to 1.7%-1.8% and from 1.8% to 1.4%-1.7% in 2017. Despite the depreciation of the pound sterling mitigates the economic fallout for the UK; the analysis suggests that the UK economy will probably be more severely affected, with a GDP loss of 1% to 2.75% by 2017. This scenario for UK economy is confirmed by EY ITEM Club, which wrote Britain’s decision to quit the European Union would generate “severe confidence effects on spending and business investment.”This would lead in turn to “anaemic” GDP growth for the next three years. The expected plunge in the value of the pound will supposedly encourage exports by 3.4% next year, with imports declining 0.3%. The move would see net exports adding 1.1% to GDP in 2017, according to the think tank. Nonetheless, Brexit uncertainty will drive up unemployment and impede consumer spending and business investment. By the end of 2019, the rate of unemployed then is estimated to rise from 5%to 7.1%, with household and real disposable income set to drop by 0.5% next year. The think tank also expected consumer spending to rise 2.2 % in 2016, before falling 0.6% the year after, while business investment would tumble 0.9 % in 2016 and 2% next year – previously growth was forecast at 3.2 % and 7.8 % respectively. As a result, growth will be reduced from 2.3 % to 1.9% in 2016, and from 2.6% to 0.4% next year. Same goes for GDP growth for 2018, which will be slashed from 2.4% to 1.4 %. « Previous Article What are the most innovative countries in the EU?